What type of payments does UH accept? Cash, money order, cashier check, business check, and personal check (with account holder's date of birth and id number included). We accept all credit and debit cards: (Mastercard, Visa, Discover, and American Express). The University does not accept checks issued through credit card accounts. Temporary cards or gift cards are also not accepted. Payments can be made at the Cashier's Office in the Welcome Center Monday-Thursday, 8:00AM-5:00PM and Friday, 9:00AM-5:00PM. Check and credit card payments can be made online at myUH (MasterCard, Visa, Discover and American Express only). How do I apply for a 90-Day Emergency Deferment Plan, Short Term Tuition Deferment Plan, or Installment Plan? Click UH Self-Service located at the top left-hand of the page. Under myUH Self-Service, click on Student Financials. Click on Payment Plans. 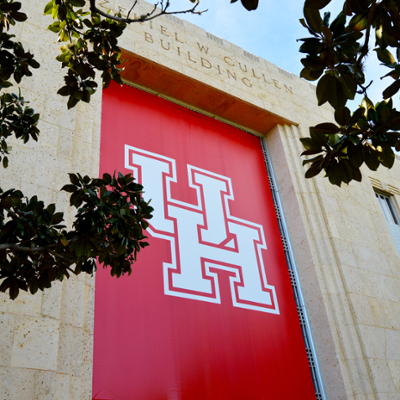 NOTE: A "paid" status must be accomplished to be eligible for a UH Book Loan. What are the qualifications for an Emergency/Short Term Tuition Deferment Plans? You can't have any prior balances or stops on your student account and you must be enrolled in courses. What is not covered under mandatory fees when applying for an Emergency/Short Term Tuition Deferment Plans? Fees that are not covered by the 90-Day Emergency Deferment and Short Term Tuition Deferment Plans are optional fees such as health insurance, yearbook and parking citations and decals. Students must pay these fees out of pocket when applying for either of these loans. What happens if I do not submit my payment by the deadline? If payment is not received in our office or posted online by close of business on the published due date, students will risk having their classes canceled. How often should I check my student financial account in myUH? Students are advised to check their myUH accounts daily and make immediate payment arrangements for any charges due. Student financial accounts are dynamic and subject to change due to adding of classes, adjustments in financial aid, parking registration, housing, meal plans, etc.